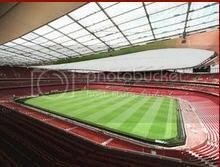 Can Arsenal claim the FA Cup in the 2011/12 season? At the start of the Premier League season my hopes were not set high for The Gunners; this being due to some miserable performances alongside some uninspiring signings. 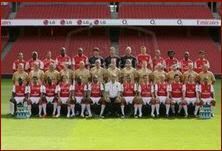 In the past few weeks my opinion has changed dramatically, especially so when regarding the signings that current boss – Arsene Wenger – made during the summer transfer window of 2011. The signing of Ivory Coast international Gervinho from French outfit Lille has to be the London club’s most impressive signing. Wenger paid a fee thought to be in and around the region of £10.7 million for the talented Ivorian. So far, Gervinho has caused all sorts of problems to each of the opposition he has come up against. The various opponents that Arsenal will face in the FA Cup will certainly be wary of the pacey winger. Those following the latest FA Cup betting should remember this. The Gunner’s last outing in the FA Cup didn’t end too brightly as they were beaten in the Sixth Round by Premier League rivals Manchester United 2-0 at Old Trafford with a goal from Brazilian international Fabio in the 28th minute, and English superstar Wayne Rooney following up in the 49th minute. Wenger must have been devastated with this result as Arsenal have not won a cup since the FA Cup back in the 2004/05 season where they beat Manchester United 5-4 in a grueling penalty shootout. In this season’s FA Cup, another player that is going to be on the minds of opposing managers will be English international Theo Walcott. His sublime pace is sure to frighten the life out of each of the teams Arsenal happen to play during their FA Cup campaign. With Arsenal desperate for a trophy, they have every chance of going all the way and tasting glory at Wembley. Arsenal have become the first English club to reach the last 16 of the Champions League following their 2-1 win over Borussia Dortmund at the Emirates stadium on Wednesday evening. The Gunners had to qualify to be in the group stage of the competition and did so following two tricky legs against Udinese. However, their progression to the second round has proven much easier, as they go through to through as group winners with one game to spare. Arsene Wenger's side have now reached the last 16 of the competition for the ninth consecutive year, but were beaten at that stage last season by champions Barcelona. The best European football betting shows they should do better this time around. Wenger is delighted with the ease of his side's European progression and is hoping they can go a long way this season. "I am surprised that we are the first English team to qualify," he added. "When we drew Udinese in the qualifier, you couldn't bet exactly that we would go through like we have done so overall I am happy." The win against the German side extends Arsenal's unbeaten run to nine games now, which includes their 5-3 over Chelsea at Stamford Bridge and the away victory at Norwich at the weekend. The Gunner's return to form has also coincided with the impressive spell of Dutchman Robin Van Persie. He has now scored 31 goals in his last 34 games for the North London club. The 28-year old was the hero once again against Borussia Dortmund with his two goals ensuring the three points from the game. Arsenal's final game in Group F is against Olympiakos on December 6. Arsenal boss Arsene Wenger says he is totally surprised that his side qualified for the Champions League knockout stages ahead of the more fancied Manchester City, Chelsea and Manchester United. The Gunners sealed their spot in the last 16 of Europe's premier competition for the 12th consecutive season with a 2-1 win over German champions Borussia Dortmund on Wednesday night. Captain Robin Van Persie was once again the star of the show for the North London club, bagging himself a brace before Shinji Kagawa scored a late consolation goal for the visitors. People looking at the betting will have been impressed. Many predicted that the Emirates Stadium club wouldn't even qualify for the group stages after they struggled through the playoffs against Udinese at a time when the team were playing so badly that some fans were even calling for Wenger's head. "When we drew Udinese in the qualifier, you couldn't bet exactly that we would go through like we have done so overall I am happy. "We came through a very difficult period because we were united and we worked hard together." Back then City, United and Chelsea looked in top form but following some shrewd deadline day signings, Wenger has turned his side around and are now back in touching distance of the top four after a nine match unbeaten record. Fans of mobile betting should bear this in mind. The Frenchman himself admits that he is surprised by his team's progress and even more shocked that they are the first English to qualify for the next stage. "I am surprised (that we are the first English team to qualify)," Wenger said. "Manchester United could have qualified (by beating Benfica on Tuesday) and of course everyone expects Man City to qualify. It has to be said that Arsenal have been playing very well in their last few games, but your gambling guardian are still not convinced that they can keep up their current form, and they face a tough test against Borrusia Dortmund tonight at the Emirates! Sports betting promotions favourite Robin Van Persie is in the form of his life and Arsenal are hugely reliant on his goals, but as the Norwich game showed on Saturday, the defense still looks far from convincing! They have almost accepted the fact that they will concede in games and simply go out to score more goals than the opposition! This has recently been working for them in the Premiership but tonight will be difficult! Dortmund went to Bayern Munich at the weekend and won 1-0 and so I am sure Arsenal fans heading to The Emirates will not be taking anything for granted. They snatched 3 points from Arsenal in the opening group game thanks to that Ivan Perisic belter in the last minutes, and they are desperate for the 3 points tonight. Hopefully, the return of Thomas Vermaelen will tighten things up at the back and hopefully he can help Per Mertesacker to get to grips with the English game. But he should be comfortable tonight as he knows exactly how German teams play having spent most of his career their! Arsenal will still have enough to win the game, but they will need a big European performance and the goals of Robin Van Persie! Arsenal have admitted that they do not expect to speak to hold contract talks with Robin Van Persie until the summer, but have maintained their confidence that he will stay with the club. The Dutchman – who has emerged as Arsenal’s most important player this year – has a contract until 2013 at the moment, although with rumours of his departure, the club are keen to extend it. However, those who bet money on Premier League football note how Van Persie has said that he doesn’t want to discuss the issue until the end of the season, perhaps giving him time to assess whether he wants to finish his playing career at Arsenal or not. Considering how important Van Persie is to the club right now – he is the captain and leading scorer – Arsenal are prepared to be patient in terms of a new deal. They should perhaps use it as motivation to be in a promising position in the summer, thus making it easier for the 28-year-old to commit his future for the club. After the departures of Cesc Fabregas and Samir Nasri, the last thing the Gunners need is to lose Van Persie too. Hopefully, they will have a successful season, perhaps win some silverware and then the Dutch international will commit. He will certainly be in action this weekend against Norwich as Arsenal look to continue their improved run of form. Going into Saturday lunchtime’s clash at Carrow Road, Arsene Wenger’s men have won five domestic games in a row. Those looking at football betting tips note how this has helped them move up to 7th in the Premier League table and they will be hoping for further progression this weekend with three valuable points. With a Champions League game to follow on Wednesday, Wenger would like a trouble free 90 minutes, perhaps with the game won in plenty of time so he can rest a few players, including talisman Van Persie. A large part of the recent Arsenal revival this season has been down to the blistering performances of their Dutch hit-man Robin van Persie, so this week the news that he will put off talks over a possible contract extension until the summer will leave the Gunners' fans with mixed feelings. On one hand they will be delighted that he has not rules out the possibility of elongating his stay in North London, but they will be simultaneously concerned over the level of power enjoyed by individuals over their clubs in the modern game – a point highlighted by the summer exits of Samir Nasri, Cesc Fabregas and Gael Clichy. Having been signed by Arsene Wenger from Feyenoord back in 2004, in the last seven seasons he has never given any indications of being unhappy at the Emirates – and since being made club captain at the start of the season following Fabregas' departure in August, no one can have doubted his commitment to the team's cause. Anyone following the latest Champions League betting will know how crucial he is to the side. However, the run of form that he is currently enjoying is actually a double-edged sword. Whilst his goals propel them towards a top-four finish in May – a necessary part Wenger's plan to encourage his talisman to extend his contract – his value to the club markedly increases every week that he bails his team-mates out of trouble. To put this into context, without the Dutchman's goals or assists, over the course of 2011 Arsenal would have won only five league games; that they have actually claimed 14 scalps from their domestic counterparts speaks volumes as to van Persie's importance to the club. Arsenal's chairman Peter Hill-Wood remains upbeat about the club's chances of hanging onto the prized asset next summer however, stating yesterday that: "We hope he will sign a new contract - I don't see why he shouldn't." Arsenal youngster Alex Oxlade-Chamberlain insists Arsenal is the right club for him to develop in to a top star. The former Southampton youngster has made an impressive start to life at the Emirates Stadium scoring in both the Carling Cup and Champions League – becoming the youngest ever English player to score in the competition. Those who watch football live at the Emirates have certainly been impressed with the youngster, who was a rare bright spot at the start of the season when the club made a poor start to the campaign. However, their football scores have picked up in recent weeks, rising up to seventh with a run of just one defeat in 11 games across all competitions, including four wins on the bounce. Chamberlain hasn't always started games in recent weeks but insists he realised he is at the gunners for the long-term. "I knew that when I signed here it would be hard for me and that maybe in my first season I wouldn't get a lot of game time. "But I'm learning so much in training from the likes of Robin van Persie and the rest of the boys - and the manager as well. "I have only had a few appearances, but I have scored two goals and I am happy with that." Oxlade-Chamberlain added: "I think there's a lot more to come from me so I am just going to keep working hard, keep learning in training. "It is down to me, I have got to put pressure on the boss to select me. "I can only do that by training well and, when I do get my chance, impress him. "The boss has said it is up to me, he is going to work with me the same way I have to with him." Arsenal manager Arsene Wenger is allegedly eyeing up midfield reinforcements after being robbed of Samir Nasri and Cesc Fabregas in the close season. Although the Frenchman brought in Yossi Benayoun on loan from Chelsea as well as Mikel Arteta from Everton as cover during the last transfer window, he is believed to be keen to bolster his ranks and has started looking into the possibility of recruiting Borussia Mönchengladbach's Marco Reus. The German international has drawn comparisons with Mario Götze – the teenage superstar plying his trade at Borussia Dortmund – but given both the relative statures of the two Bundesliga outfits, Reus would be available for around half the price. People bet on Premier League games should remember this. Wenger was first made aware of Reus through their former goalkeeper Jens Lehmann – now living in Germany following his retirement from the game – but Mönchengladbach's coach Lucien Favre admitted to being reluctant to let him go. 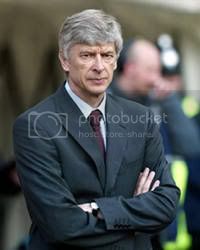 "Lehmann has advised Wenger and after that Arsène contacted me. I told him Reus is a very good player – I cannot lie – but I do not want to lose him," he said. Over the last two years in the Bundesliga, Reus has thrived under Favre's management and after scoring 11 goals last season and earning his first full international cap, is starting tongues wagging all across Europe. Both technically-gifted and tough in the tackle, he has drawn comparisons with Everton's Jack Rodwell – who himself has just earned his first call-up to a full international squad. Anyone looking at the Premier League best odds will know he is what Arsenal need. Arsenal certainly aren't letting the departure of Nasri and Fabregas bother them this season, and after a disappointing start have recently finally hit upon a rich patch of form which culminated in a thrilling 5-3 win over London rivals Chelsea last week. That result leaves them level on points with Liverpool and breathing down the necks of the teams occupying the top-four spots in the Premier League. It’s hard to guess just which aspect of Saturday’s 3-0 win over West Bromwich Albion will have pleased Arsene Wenger the most: the fact that in securing the three points he moved his side level on points with Liverpool and within touching distance of fourth place, or that in doing so his side managed to secure back-to-back clean sheets for just the second time this season. The return to fitness of Thomas Vermaelen has been a stabilising factor in this recent improvement in defence – the Belgian started their home matches against Marseille in mid-week as well as against West Brom on Saturday – and now with Ramsey and Song employed to provide extra cover for their under-fire back-four, this has allowed Theo Walcott and Mikel Arteta to supply ample service to the mercurial Robin van Persie. Anyone who has placed a football bet will have been impressed. Back in August, shut-outs against Newcastle and Udinese acted as a smokescreen for the seemingly disastrous run of fixtures to follow, culminating in Arsenal losing against their bitter North London rivals Tottenham on October 2nd to sit in 15th place with just seven points from their opening seven games. However, now on a run of five straight league wins and with Norwich, Fulham and Wigan lined up as their next Premiership opponents; Wenger strikes a far happier figure than the one that was left seething on the touchline as his paper-thin defence shipped eight goals at Old Trafford and four more at Ewood Park a fortnight later. During every season, most sides in the Premiership will experience a "blip" – a run of poor results which both appears and disappears without obvious rhyme or reason – Wenger will be both pleased to have got his out of the way early, and relieved that it has not inflicted irreparable damage to his side’s aspirations of qualifying for next season’s Champions League. England midfielder Jack Wilshere has given his club Arsenal a real lift by revealing he intends to stay at the club for the rest of his career. The 19-year-old, who has yet to play this season due to a foot injury, has established himself in both the Arsenal and England team over the past 12 months, emerging as one of the country’s brightest talents. The Gunners began the season as outsiders in the premier league betting after selling key players Samir Nasri and Cesc Fabregas over the summer. Fears remain over manager Arsene Wenger’s ability to the rest of his stars, with Robin van Persie’s future in doubt as he is yet to sign a new contract. Wilshere though appears to have eased some fans concerns by committing the rest of his career with the Gunners. "Can I promise I will be at Arsenal for ever? I can promise that, yes. "I've been at the club since I was nine and I've learned to love it. "From the (Patrick) Vieira days, to (Dennis) Bergkamp, (Cesc) Fabregas, I've watched them come through and move on. "But now there's a crop of new players, (Aaron) Ramsey, myself, Kieran Gibbs, hopefully we can really create something special. "I love the club and I want to be part of its future." Wilshere also took to Twitter to update his followers over his progress in recovery from injury, adding: "As I said had 6 week X-ray earlier and all going well. I can start to work a bit harder now." The news is music to the ears of Arsenal fans who, despite being delighted with the upturn in the club’s football scores (four league wins on the bounce, just one defeat in 11) remains fearful that they can no longer offer the highest wages and so players are at risk of being poached by the likes of big-spending Manchester City. Wilshere’s commitment, they hope, is a sign to current and prospective Arsenal players that they still mean business.